I never knew Wasteland2 was doing model crowdsourcing til I got a Facebook notification about Batch 4 today. Suffice to say I was excited and disappointed (that I've missed 3 batches) all at once! 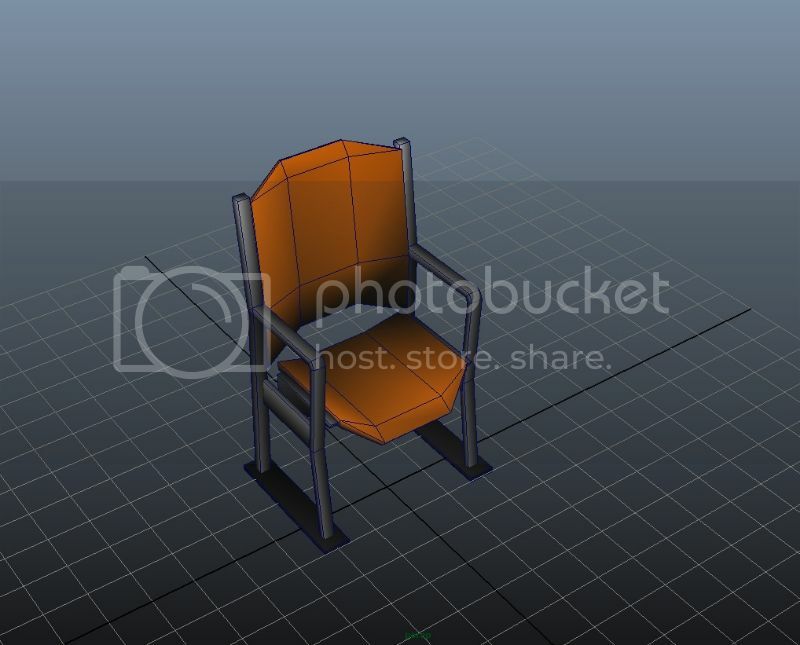 I've pretty much zero game modeling/Unity experience, so I thought I'd start with the most basic of models on the list. 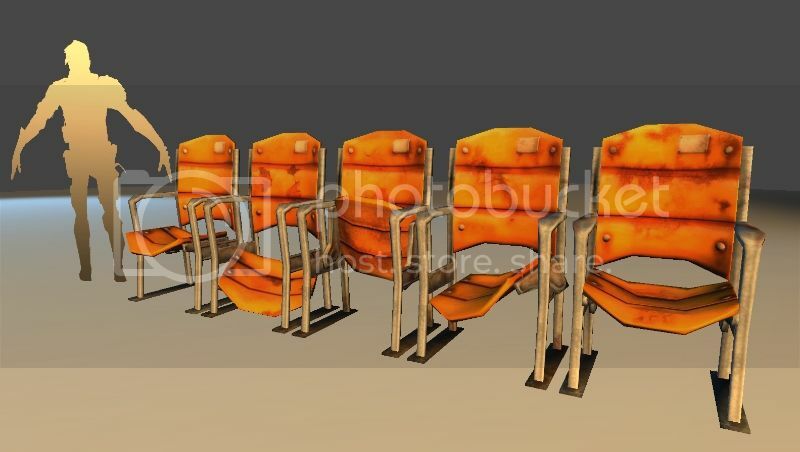 Chairs! All my experience is in Maya and Zbrush so I'd appreciate it if you guys can help answer any technical questions as we go along. Here's my low-poly mesh. It's at 272 tris at the moment. Critiques are definitely welcome. Thanks! Last edited by izombie on May 1st, 2013, 2:19 am, edited 1 time in total. 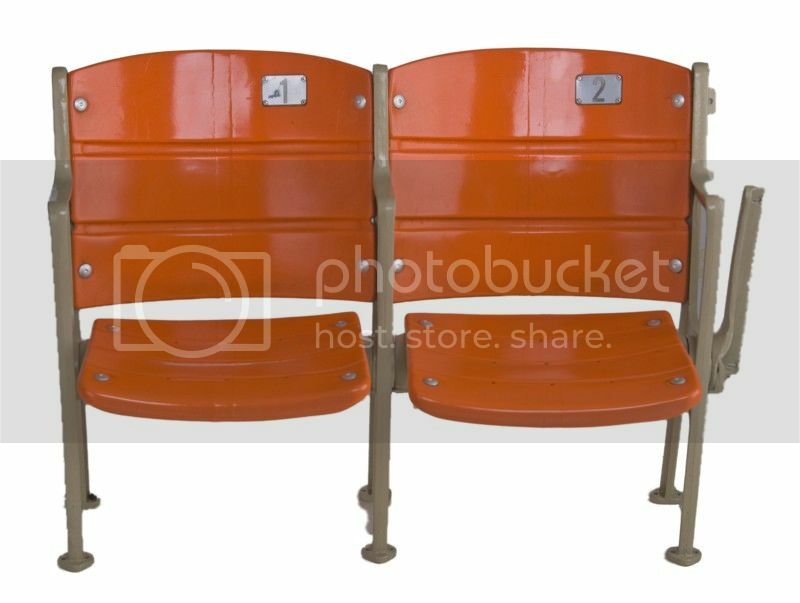 A lot of the seats around here have holes in the back, maybe a good way to add some character to yours. I'm hoping the saved polys will allow me to put some rubbish and debris on the ground later. Maybe ancient cups and popcorn boxes. Looking forward to see the final low-poly with textures. 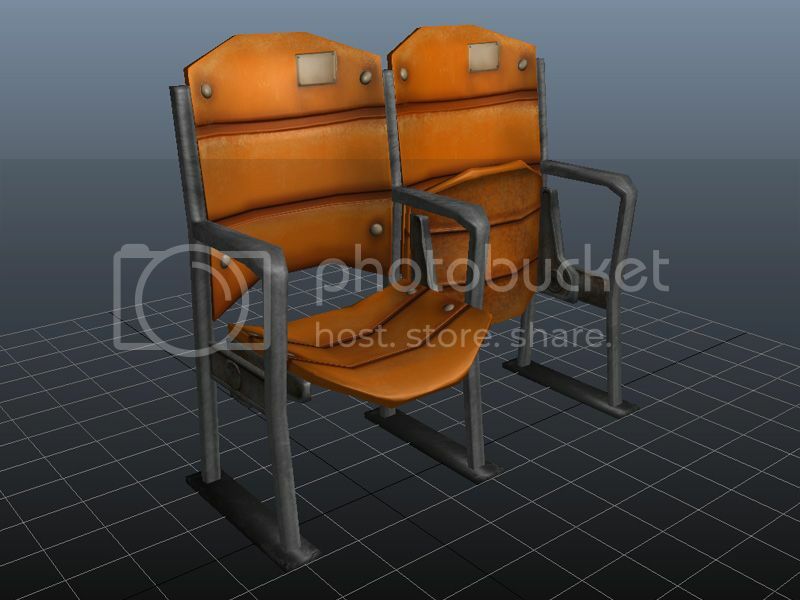 I tried to create my own stadium seat design...but not very successful so far, not sure if I follow it up. lo-res with normals and diffuse. I'll do a couple of variants with different rust patches on top of the general weathering. Where are you guys getting the 2D human scale card from? This dude's almost ready to go into Unity. 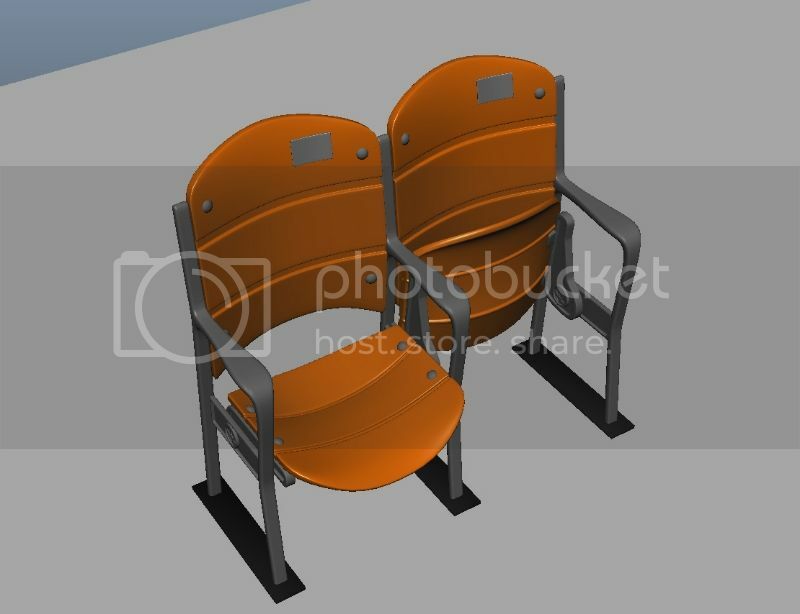 The seats are looking great. The character card comes from the turntable scene provided with Batch 3. Submitted! 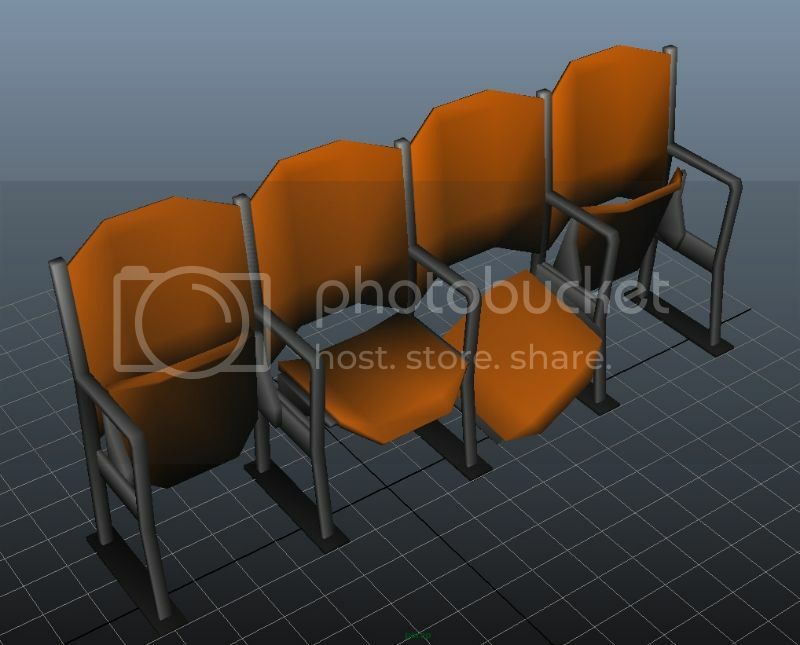 I put in 5 copies with the different texture variants assigned. To make them tileable you guys will need to delete one of the arms. Hope that went through alright! That came out looking really well.